MARIN: Demba Ba reveals Marko Marin wants to join him at Besiktas. Forgotten man Marko Marin is being heavily linked with a move to Besiktas to join up with Demba Ba after the former Chelsea striker revealed conversations he has had with the German winger. 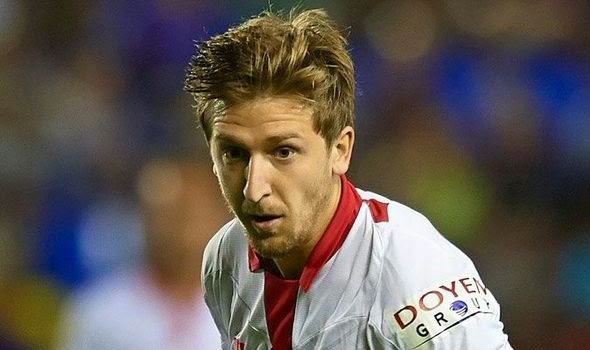 Marko Marin is back at Chelsea after a successful loan spell in La Liga with Sevilla last season but as we have all seen, is taking no part in Chelsea's pre season tour of Europe. Putting two and two together here and it's clear he isn't in Jose Mourinho's plans for the coming season and he will leave the club either on a permanent deal or another loan. Demba Ba speaking to the press recently has revealed that his new club Besiktas have made their interest in Marin known to Chelsea and the player and Marin has been in contact with him about a move. “Marin called me after my transfer to Besiktas. He told me Besiktas were also interested in him and that he would like to play alongside me. It's a shame that things have not worked out for Marin at Chelsea and we have to be honest in our evaluations of his performances when he was given a chance and it was hardly impressive was it! Expect Marin to leave one way or the other before the window closes.